A geeky lawyer going through a mid-life crisis escapes to a small town in the South of France in an effort to reinvent himself. Instead he catches a case of “careful what you ask for” and is framed for murder by forces he does not understand. His knight in shining armor and chief alibi witness is the five-year-old daughter of his newly discovered love. 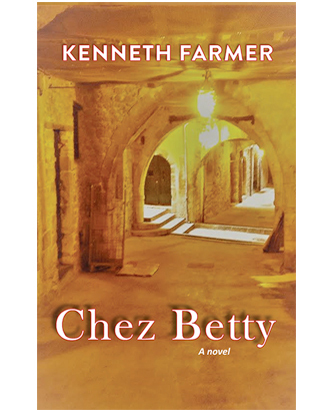 Chez Betty has everything from dark humor to romance in a picturesque setting, all the while evoking strong emotion and taking the reader through the bowels of a mysterious and unfamiliar justice system. When Paul Fields leaves his small Midwestern hometown to begin his law career as a public defender in Louisville, Kentucky, he receives a baptism by fire as he quickly learns that criminal intent sits on both sides of the bench. Not your typical legal thriller, Real Lawyers offers the reader a candid insider’s view of the criminal justice system, while building suspense through a series of cases that lead up to a dramatic capital murder trial. Blackmail, payback, judicial incompetence, and corruption cause Paul to lose case after case, including one in which his client commits suicide. Thinking he lacks the muster to overcome such forces, he’s ready to throw in the towel, believing that the battle cannot be won. Encouraged by the words of his new found girlfriend, he perseveres and his luck begins to change. 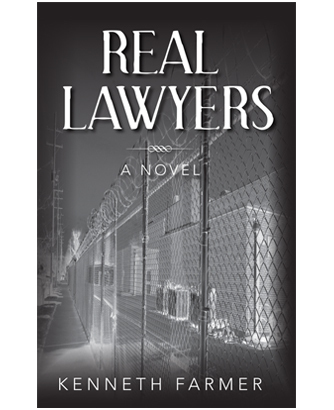 Real Lawyers, a thrilling tale that evokes all forms of emotion from laughter to anger, and is as heartening as it is discouraging, takes you down the dark rabbit hole of a city’s seedy criminal justice system with the flickering light of a small, battered team of men and women who refuse to give up on real justice.